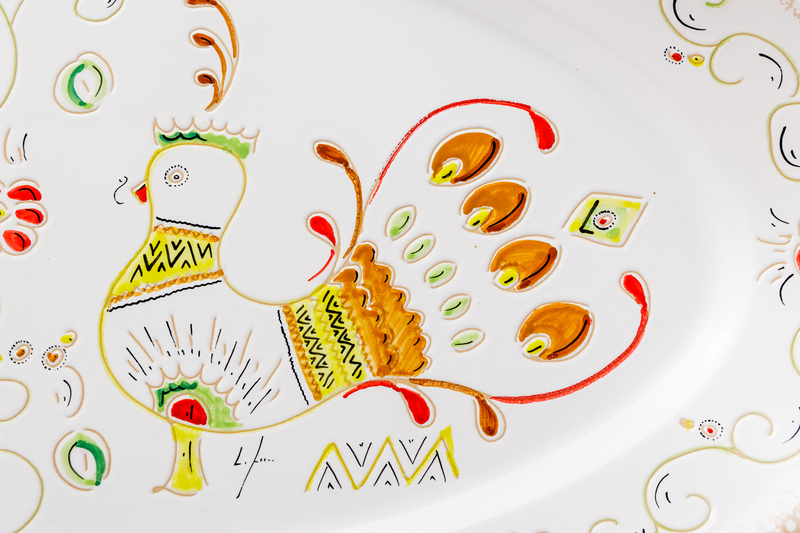 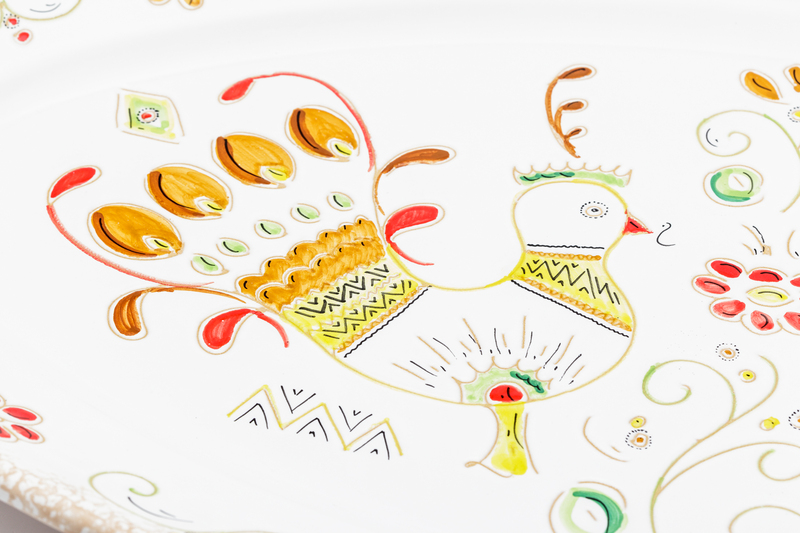 The large platter features a reinterpreted stylised lapwing motif made of white ceramic and decorated with bright polychrome patterns. 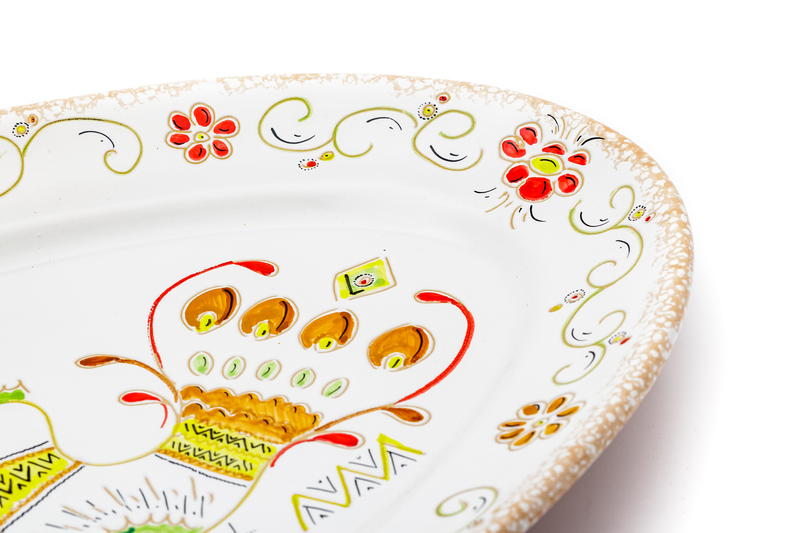 It is part of the Linea Tradizionale collection, characterized by traditional motifs typical of the workshop production. 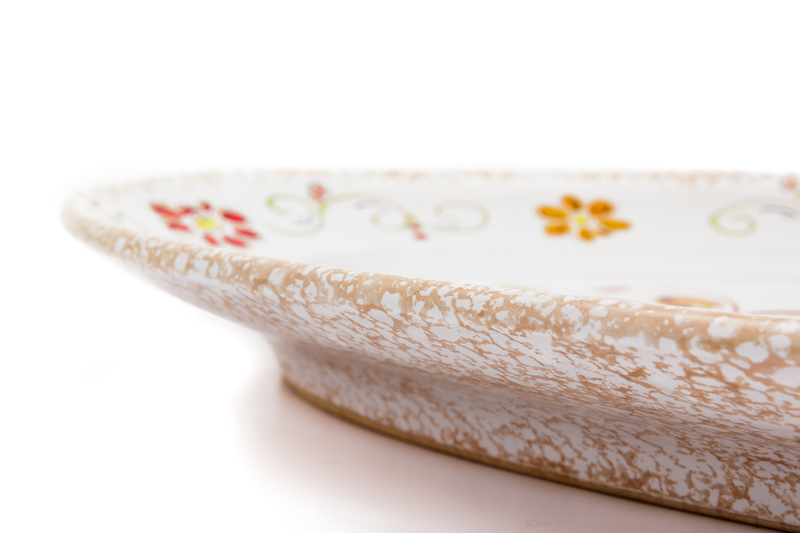 Entirely made and decorated by hand, it comes in four sizes.